Located in rural Parke county near Portland Mills Boat Ramp at Racoon Lake. 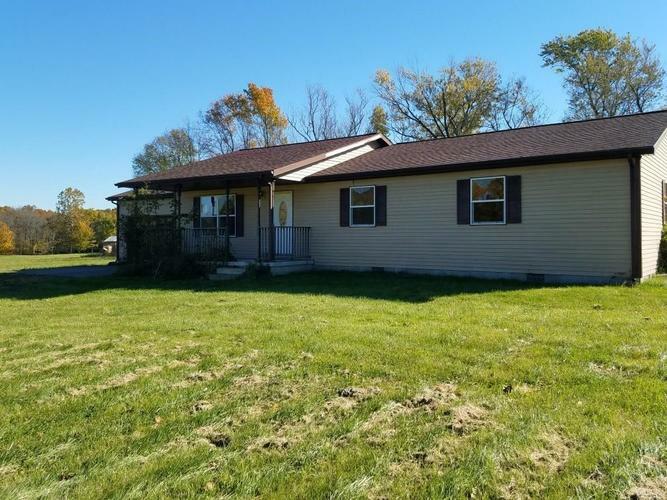 Ranch style home with vinyl siding, designer roof and 2 car attach garage. Home sits on 5.62 acres. Directions:Take US Hwy 36 to Portland Mills boat ramp road or CR 880 West. Turn north and follow for 1 mile thru the S curve to the first drive on the left into Indian Rocks Subdivision first house on the left side. Listing provided courtesy of L.J. Michaels, Inc..